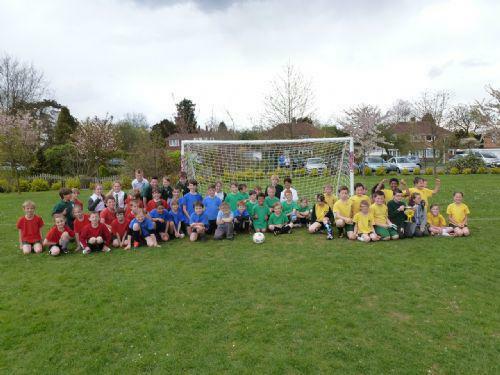 The Yr 3 and 4 Inter house football tournament took place on Friday 26th April. The teams had been chosen at House meetings earlier on in the week. Appointed Yr 6 coaches had trained their squads at lunch times. The tournament was eagerly awaited. As always the atmosphere was very sporting, many parents were there to support their children and their children’s houses. All games were packed with good skills, excitement and goals. The final result went down to the last game. The results are as follows. Well done to all those who participated in an excellent tournament.